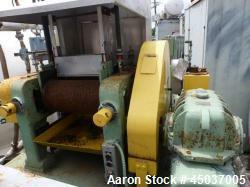 Used- Reliable 2 Roll Mill. (2) 8" x 16" rolls. Includes right angle reducer and chain drive to mill. Manually adjustable front roll, split edge guides, overhead, and knee safety. 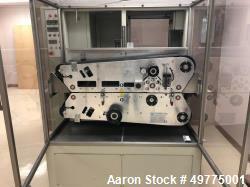 Includes a fume hood. 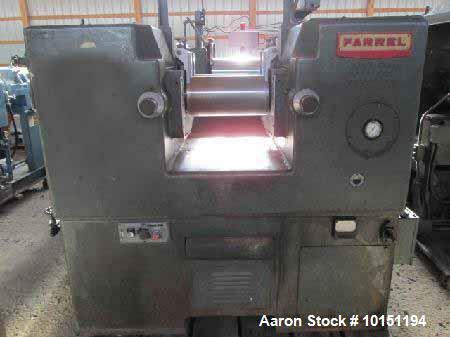 Mfr: 14" X 14" X 30"
Used- Farrel 2 Roll Calendar, Model 85A-1013. 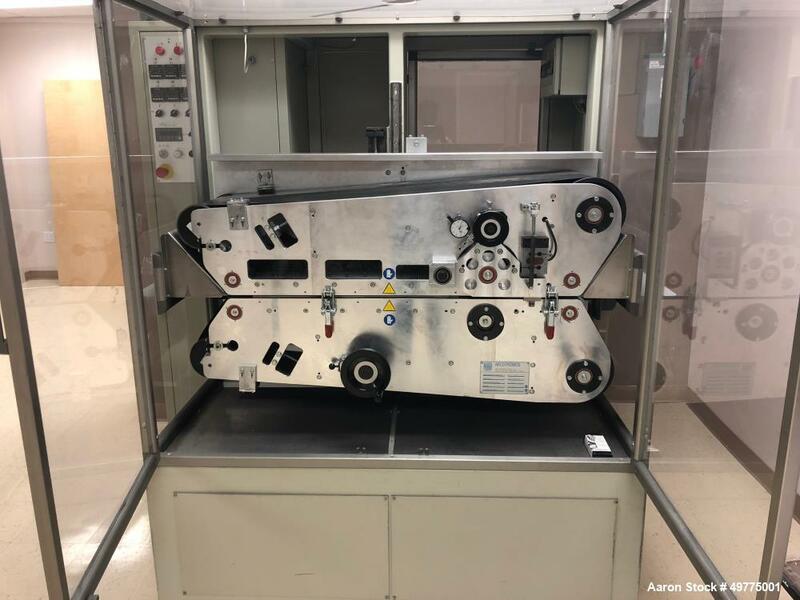 Used- Arcotronics Laminator with Conveyor Belts, Model BIE 282D. Stainless steel with a teflon coating on the side in contact with the product. Total belt thickness 0.35 mm. 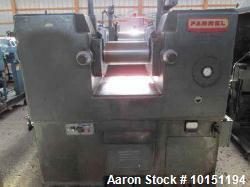 Product path length between two end rollers 1000mm. 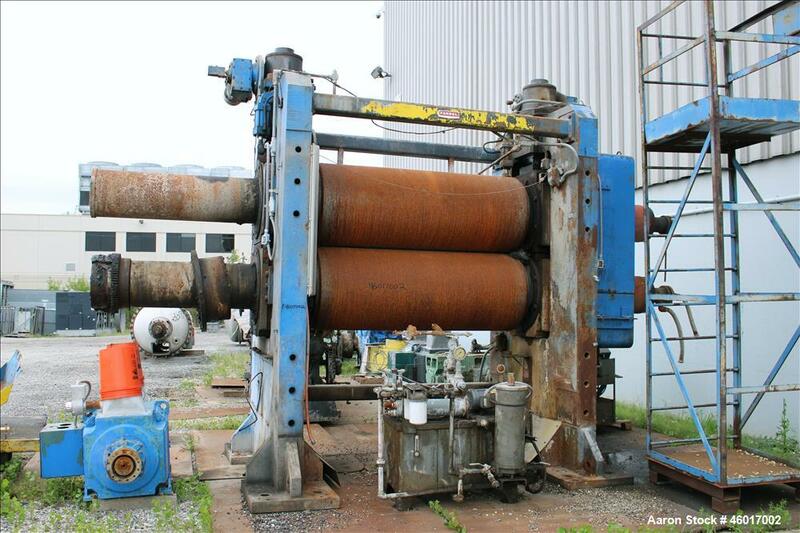 Preheating path length 6500mm. Belts speed 0.003 to 0.5m/sec. adjustable by a multi-turns potentiometer. Heat zone width 300 mm. Temperature range up to 240 C. Precision: +/- 1C. Temperature control adjustable at 1 degrees C step. 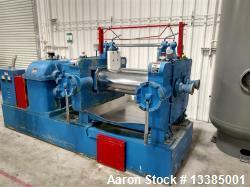 Lamination rolls: outer diameter (OD): 1240mm. Peripheral speed: same as of the belts. Lamination gap: adjustable between 0.1 and 2.5mm with 0.02mm step increments. 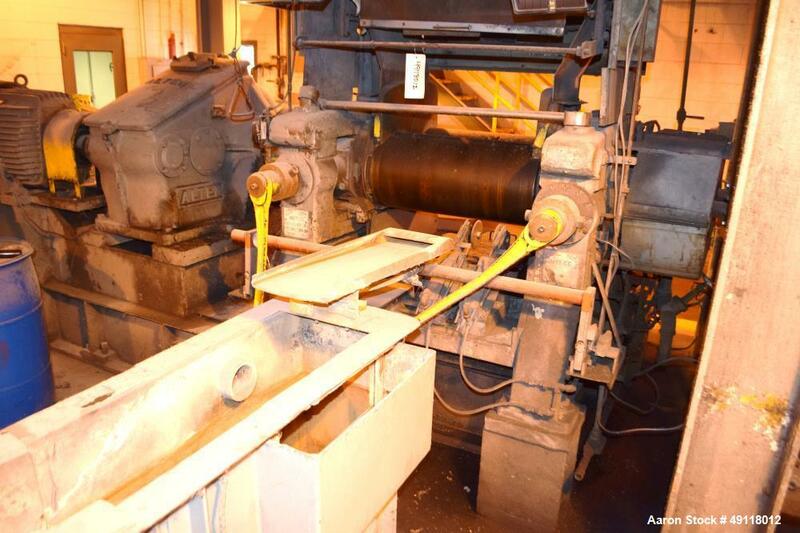 Used- EEMCO Erie Machine & Manufacturing Horizontal Two Roll Mill, Model 14" x 14" x 30". 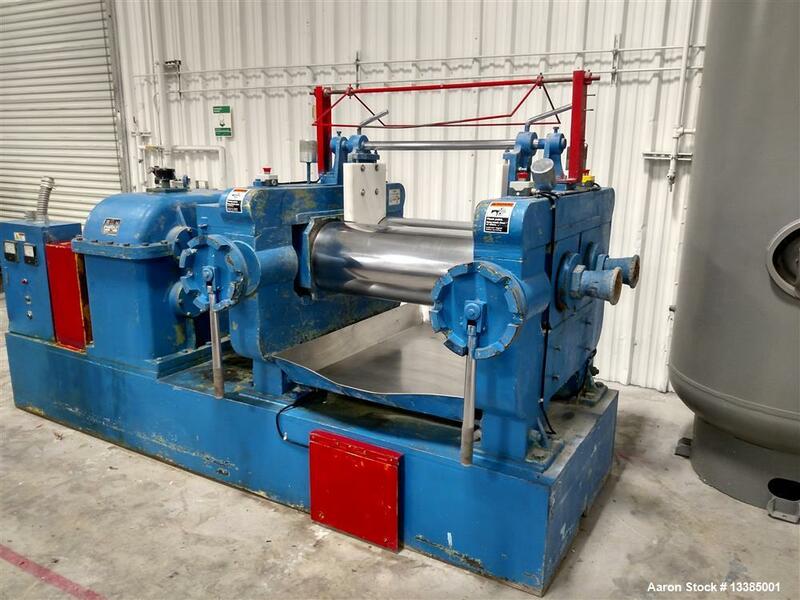 (2) 14" Diameter x 30" wide carbon steel cored rolls, approximate speeds at 720 rpm input- rear fast drive roll 28.4 rpm (104.6 feet per minute), front slow driven roll 22.9 rpm (83.8 feet per minute), friction ratio 1.24 to 1. 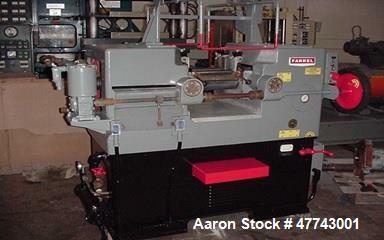 Driven by a 50hp, 3/60/230/460 volt, 700 rpm motor thru a reducer, ratio 25.4 to 1. Includes a (2) blade adjustable strip knife assembly, edge guides, bottom drip pan, overhead safeties, and manual roll adjustment. Serial# 66-1317. 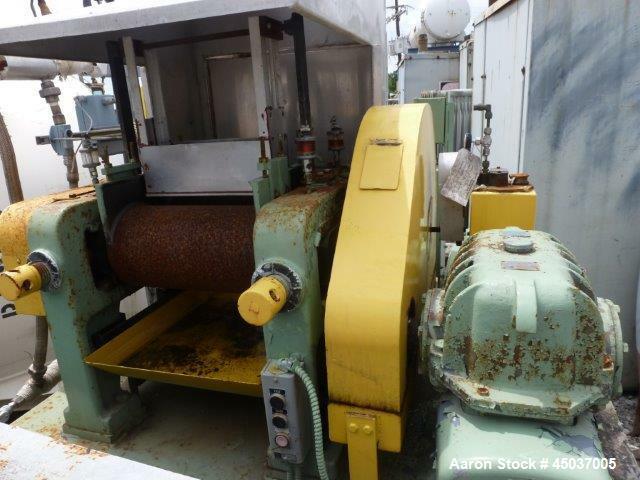 Used- Farrel 2 Roll Calendar, Model 85A-1013, Carbon Steel. 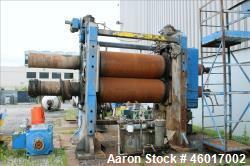 (2) Approximately 30" diameter x 78" wide Face Cored Rolls. Driven by a 250 hp, 500 volt, 1150/1400 rpm Reliance DC Motor thru a Hansen Gearbox, Type RDLJ31-AN, No. 13.10297, 1150 RPM/ 16.2, SF 1.76, 440 hp Rating, Ratio 7:1. 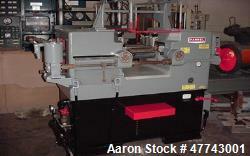 Includes hydraulic pump, miscellaneous guards. Mounted on carbon steel frame.